From the much-loved author of Shadowboxing comes a stunning debut novel in the tradition of Honey Brown, Chris Wommersley, and Kenneth Cook’s Wake in Fright. Jesse has sworn to protect his sister, Rachel, no matter what. It’s a promise that cannot be broken. A promise made in blood. But, when it comes down to life or death, how can he find the courage to keep it? Set on the back roads of Australia, Blood is a boy’s odyssey through a broken-down adult world. 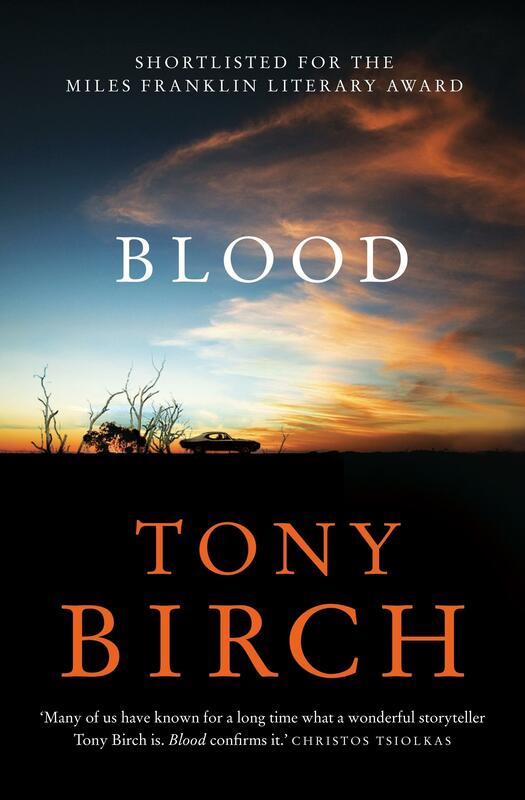 Tony Birch’s debut novel, Blood, will surely attract a lot of interest from the many fans of his accomplished short stories. He has published two acclaimed collections, Shadowboxing (2006) and Father’s Day (2009) – but this is first foray into the longer form. The move into an extended narrative can be tricky for short-story writers, resulting in a sense of the story being padded out. I’m happy to report no such awkwardness here – in fact, I stayed up late to finish Blood in one greedy gulp, so invested I was in the fate of its main characters, brother and sister Jesse and Rachel. Thirteen-year-old Jesse is unusually mature for his age, with good reason: he’s been looking after younger sister Rachel since he was five, in the face of indifferent neglect from their mother, Gwen. The siblings’ longest stint in a stable-ish home is their time living in a rundown farmhouse near Melbourne airport with tattooed ex-con Jon. At first, they fear he’ll be ‘good with his fists’, like so many of Gwen’s boyfriends, but instead he turns out to be a rare stabilising influences in their lives, baking cakes and sharing life-advice, until Gwen gets bored with his domestic ways and kicks him out. Later, an unexpected stay with Gwen’s father, a reformed alcoholic, provides another aborted glimmer of hope. But before long, Gwen, Jesse and Rachel are stuck with another thoroughly bad character ‘good with his fists’ – and Jesse takes an opportunity to make a dash for a better life, taking an audacious risk that brings seriously dark consequences. This is a fractured fairytale, a dark Australian road story, but also an affecting tale about the bond between a brother and sister, and how the most unexpected people can transform lives. Birch delivers edge-of-your-seat suspense and engrossing characterisation in equal measures. Jo Case is a bookseller at Readings Doncaster.